Before colonialism, the Potawatomi lived semi-nomadically as hunter-gatherers, picking Earth’s bounties seasonally. Often, they collected nuts, which provided fats and nutrients to cook, fry and survive the harsh Great Lakes’ winters. Because of the Potawatomi removals from the Great Lakes region, the Tribe not only lost ancestral lands, but it also left behind the plant and animal knowledge that had sustained them for hundreds of years. Pecan harvest normally occurs in the autumn once the trees reach five to seven years old. The foods available on the plains varied drastically from those produced in the woods of their ancestral homelands, but they discovered that survival required quick adaptation. However, they found groves of pecan trees, similar to the nut-bearing trees in the Great Lakes region. Lindsay Jones Marean, CPN member and a practical linguist at Owens Valley Career Development Center in Oregon, recently discussed the etymology of the word ‘pecan’ with the Hownikan. “Began, some say bgan, is a generic word for nut. It could describe a pecan, hazelnut or walnut, for example,” Marean said. She explained the English borrowed the word ‘pecan’ from French who initially took the word from an Algonquian-based language. “It’s hard to say why the source meaning ‘nut’ became more specific in the borrowing languages, but this sort of meaning change is pretty common when words are borrowed,” she said. Marean’s family pronounces the English word as “puh-KAHN,” which is close to the Potawatomi word. 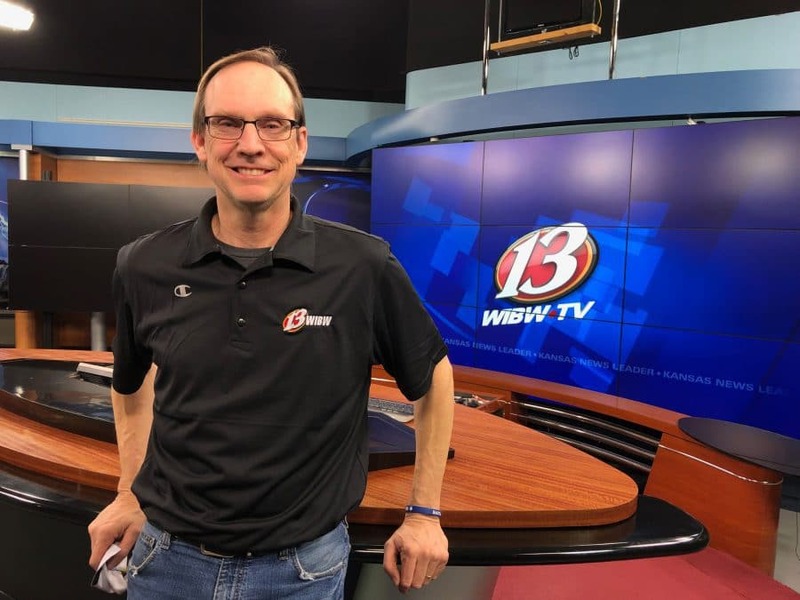 “I know that other people sometimes pronounce the English word like PEE-can, and I always wondered if our family’s pronunciation is a holdover from the generation that still spoke Potawatomi as a first language,” Marean said. CPN tribal member Robin Wall-Kimmerer is an ecologist and distinguished professor at the State University of New York College of Environmental Science and Forestry (SUNY-ESF). Kaya DeerInWater, CPN tribal member, is a current master’s student studying under Dr. Kimmerer. For his graduate program, DeerInWater conducts research at CPN tribal headquarters and manages the CPN Community Garden, Gtegemen (We grow it). “Nuts are extremely important. They’re one of the best places you can get healthy fats and oils, so they are highly prized by any Indigenous person,” DeerInWater said. He explained the nuts known today as pecans are in the same family as walnuts, and both are native to North America. 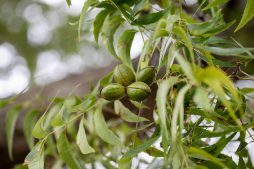 “Pre-colonialism, we got our fat or vegetable fats from things like pecans and other nuts, which are high in Omega 3s and have a lot of nutritional benefits,” DeerinWater said. However, these trees bear more than edible bites of healthy fats and energy. In Kimmerer’s book Braiding Sweetgrass: Indigenous Wisdom, Scientific Knowledge and the Teachings of Plants, she highlights the pecan’s impact on the Potawatomi. If the trees decide to produce nuts, “a whole region will mast,” he said. But since good nut production isn’t guaranteed year to year, “that makes them even more sought after because they aren’t there all the time. The Great Lakes region boasts eight to 10 native species of nut-bearing trees compared to only three commonly found in central Oklahoma. “We were used to seeing those types of trees, like pecans, other hickories and walnuts, but we were probably used to a greater diversity,” he said. Pecan trees grow best in bottomlands or flood plains, and portions of Pottawatomie County, Oklahoma, fall under this category. When they arrived in Oklahoma, many Potawatomi chose allotments near waterways where they found pecan trees growing. When the pecan trees across CPN’s land bear nuts, CPN Maintenance Director Bill Everett conducts market research to find where the Nation can sell them at the highest price. “We take care of the trees, and then come harvest time, we harvest them and sell the nuts. We don’t do any of the processing,” Everett said. Due to the reconstruction of FireLake Golf Course last year, Everett’s team couldn’t reach all of the groves. “There’re probably at least 100 or more on the golf course by itself,” he said. In 2017, CPN harvested approximately 10,000 pounds of nuts, and he hopes this year produces even more. At one time, CPN held powwows and other events under the shade of the groves located at Tribal headquarters. Although the Nation no longer continues this tradition, the trees stand tall, reminding others of their impact on the Potawatomi in the past, present and potential future.